Kremer Watercolor Set Large | Watercolor Boxes & Pans, empty | Packaging | Tools, Packaging & Supplies | Kremer Pigments Inc.
Our new, large Watercolor Set consists of 48 lightfast and handmade watercolors. The pans have a size of 4.2 x 2.2 x 2 cm. Our large watercolor set is perfect for intensive use of our high-quality colors and has enough space for brushes. All pans can also be purchased individually. 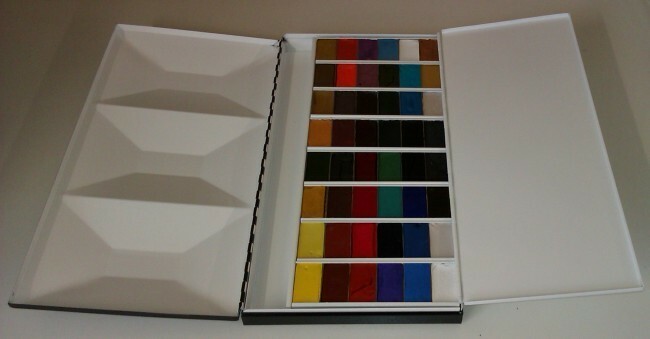 Customer evaluation for "Kremer Watercolor Set Large"